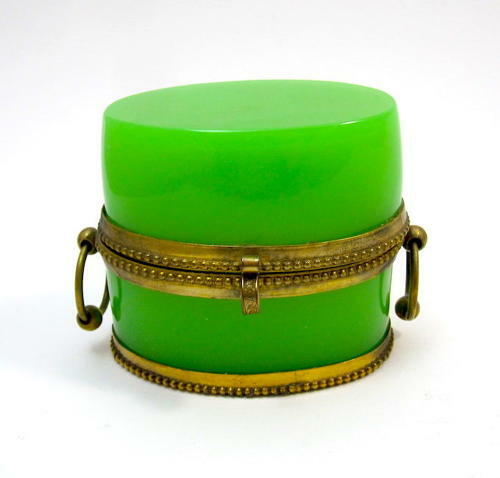 Antique French Oval Green Opaline Glass Casket Box. Beautiful Casket with Loop Double Handles and Pretty Ormolu Mounts. See Extra Photos for Internal Intricate Dore Bronze Mounts. Great Apple Green Opaline Colour!